Explore ancient Giza by camel and tour the Museum of Egyptian Antiquities on an affordable all-day tour. 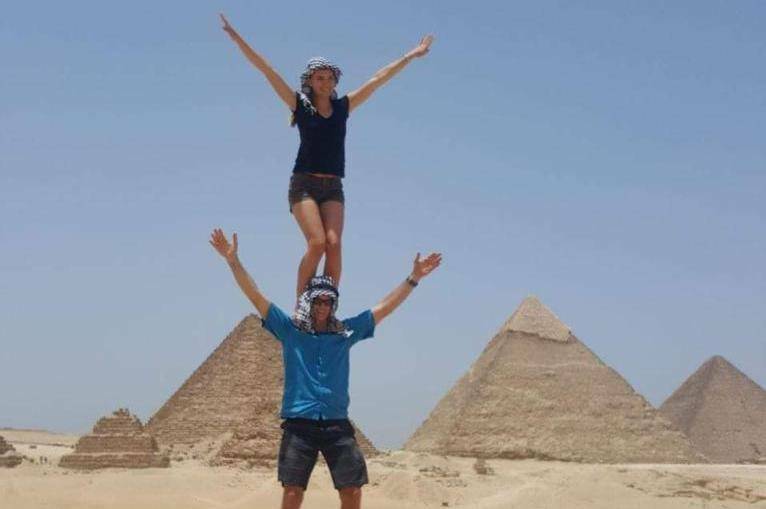 After hotel pickup, travel with your guide by air-conditioned vehicle to visit the Great Pyramids, the Sphinx, and the Valley Temple. Enjoy a quick camel ride, snacks and water. Then, check out the King Tut exhibit, Rosetta Stone, and other significant historical artifacts—all included in one convenient excursion.